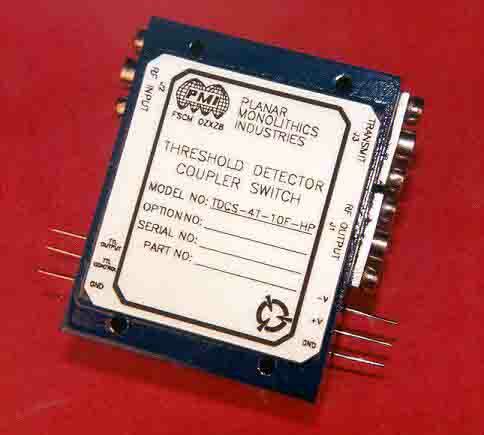 PMI Model TDCS-4T-10F-HP is a high power (2 watts) Threshold Detector Coupler Switch designed to operate over the 9 to 10.5 GHz Frequency Range, with a VSWR of 1.5:1. 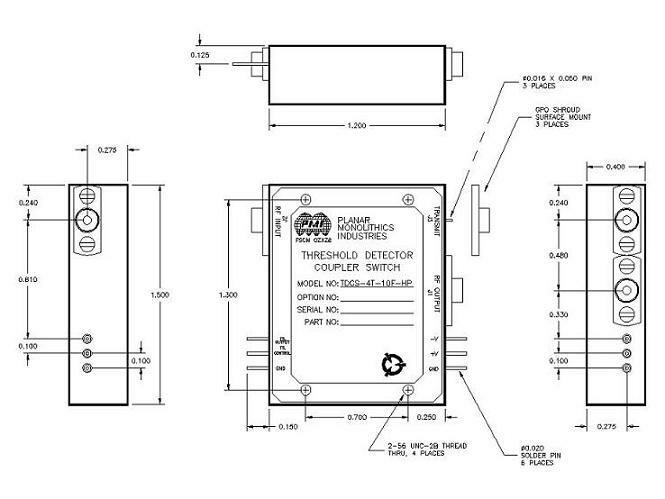 This unit comes in a small size with GPO connectors on the RF Input-Output-Transmit. Solder pins on the DC power and detector output. This unit is hermetically sealed for severe military environments. Size: 1.20" x 1.50" x 0.40"